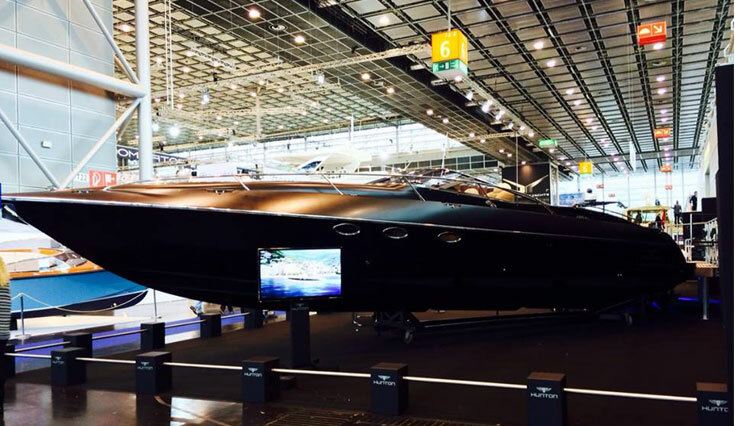 Hunton XRS43 is given a modern look with a black satin finish at Dusseldorf Boat Show. 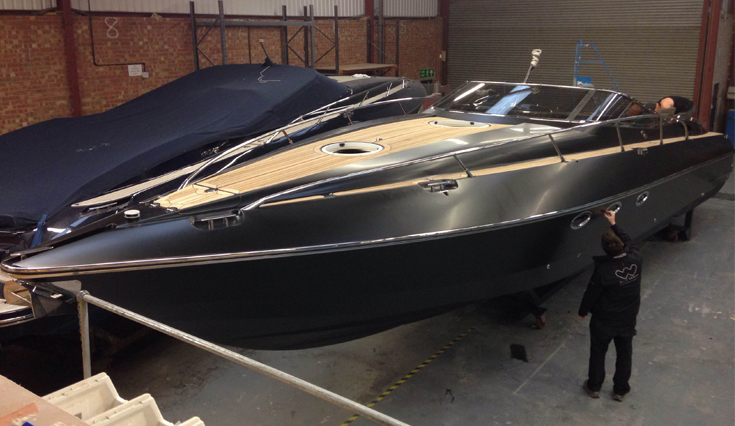 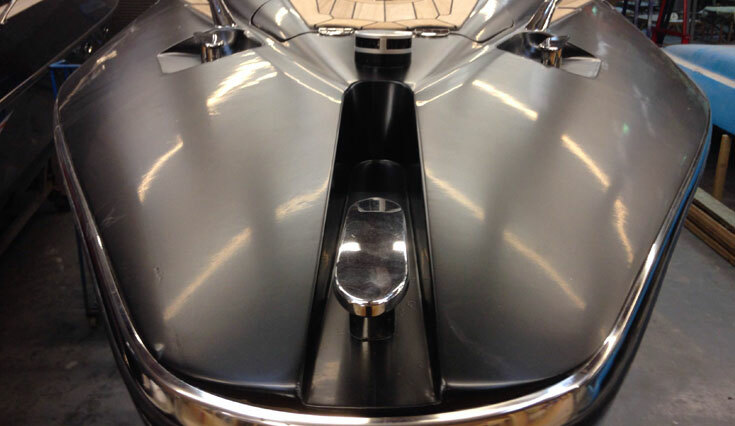 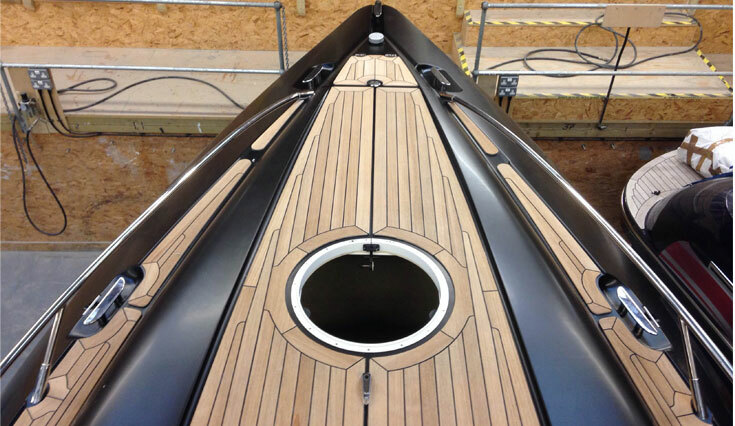 Hunton XRS43 is given a modern look with a black satin vinyl finish applied to the hull. 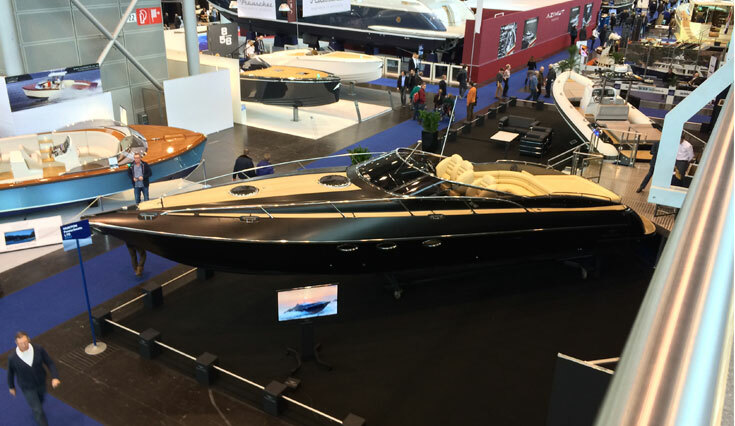 The project took 4 days, transforming the yacht into a stunning show piece at the Dusseldorf Boat show.